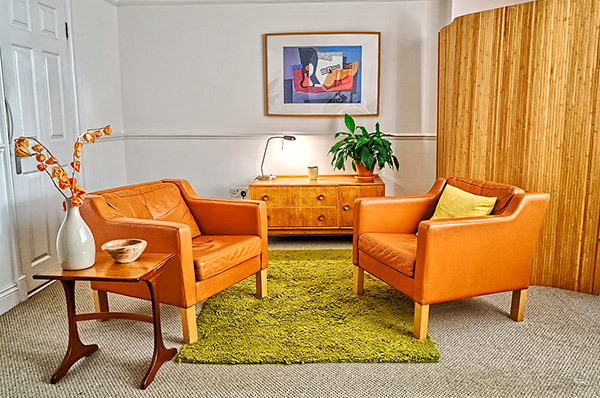 I am a qualified and experienced Counsellor and Psychotherapist offering weekly therapy at two locations in London: Islingon near Angel Tube station & Evelyn Grace Academy near Brixton tube station. My consulting rooms offer a comfortable, safe and confidential setting for our sessions. I Listen to you and any concerns you may have, for a better understanding of your circumstances and the challenges facing you. Together, we can explore options and possibilities ranging from acceptance to making changes. Weekly one to one sessions with adults and adolescents for a short (12 to 24 weeks) or long (over a year) term. The focus will be on a particular concern or difficulty which might be limiting or hindering your functioning and enjoyment of your professional, social or family life. Whilst incorporating many aspects of Counselling, psychotherapy is about how we manage difficult and distressing states of mind. The sessions last for 50 minutes and can take place more than once a week for a period of a year or longer. Centred around a specific theme and aimed at increasing self awareness and social comfort by explorating new behaviors and ways of being in a group context. Memebers support each other develop skills, and promote more genuine interactions with others (congruence). I offer consultations for schools considering setting up, expanding or improving a counselling service. Integrative Child Psychotherapy is a supportive, and effective way of working with children to help them with the things that are troubling them through the use of arts, play, and the relationship with the therapist, in a safe and confidential space.